Ilan Pappe, a member of the Deir Yassin Remembered Board of Advisers, is senior lecturer in the University of Haifa Department of political Science and Chair of the Emil Touma Institute for Palestinian Studies in Haifa. His books include, among others, The Making of the Arab-Israeli Conflict (London and New York 1992), The Israel/Palestine Question (London and New York 1999), A History of Modern Palestine (Cambridge 2003), The Modern Middle East (London and New York 2005) and his latest, Ethnic Cleansing of Palestine (2006). 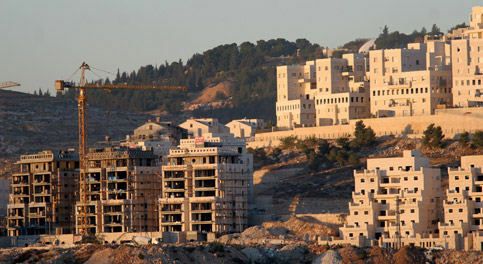 A general view of Har Homa settlement, built on the land of West Bank city of Bethlehem, and considered by Israel to be part of 'Greater Jerusalem', 29 November 2006.